Bonn (Germany), 9 May 2017 – Peatlands and wetlands have been underestimated in terms of their global extent, as well as their potential to contribute to action on climate change. 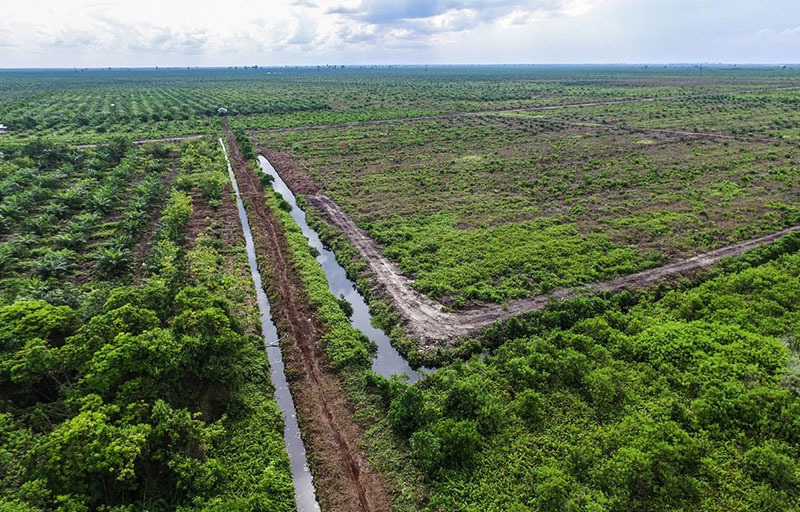 New research finds there may be up to three times more peat in the tropics than was previously thought, with huge implications for the conservation and management of peatlands for livelihoods, sustainability and climate change mitigation and adaptation. The Center for International Forestry Research (CIFOR) and partners are highlighting these research findings at the United Nations Framework Convention on Climate Change (UNFCCC) Bonn Climate Change Conference, held from 8-18 May in Bonn, Germany. The new findings will be discussed at an official side event on 11 May, titled Re-discovering the magnificent carbon storage potential of wetlands and peatlands, organized by CIFOR together with the European Space Agency (ESA), Friedrich Schiller University Jena (FSU Jena) and Wageningen University & Research (WUR). Murdiyarso says further ‘ground-truthing’ research is needed to better understand the distribution and quality of the peatlands and wetlands, and how they are being used by local communities and other stakeholders. Millions of people earn their livelihoods off peatlands, but unsustainable practices are threatening the integrity of these ecosystems, and could accelerate global climate change. Drainage, burning and conversion of peatlands for agriculture and other purposes is a major source of greenhouse gas emissions. There is an urgent need to develop low-impact agricultural practices that can sustain both peat and people. The research findings also have implications for global climate change mitigation initiatives. Rich in organic matter, peatlands hold one-third of the world’s carbon stocks, meaning that quantifying their extent and distribution, and ensuring their conservation and restoration, is essential for carbon accounting and other mitigation efforts. “Peatlands and wetlands hold diverse values – for biodiversity, ecosystem services and local livelihoods. Efforts to conserve or restore degraded lands need to take into account their role in supporting livelihoods and sustainable development,” Murdiyarso says. The connections between climate, peat and people will be further explored at the upcoming Global Landscapes Forum: Peatlands Matter event in Jakarta on 18 May, led by CIFOR in coordination with UN Environment and the World Bank. This research is part of CIFOR’s Global Comparative Study on REDD+ and the CGIAR Research Program on Forests, Trees and Agroforestry (FTA) with support from the CGIAR Fund Donors.